Cryotherapy is the method of treating pain or inflammation through extremely cold temperatures. Ice therapy machines utilize cold water and freezing agents to deaden your nerve endings temporarily and slow down cellular metabolism. The cold alleviates the pain, reduces the swelling, and prevents secondary tissue damage. Cold therapy can be used on almost all parts of the body. Today, you can purchase ice therapy machines to support your gym habits and ensure your body is in top shape at all times. What is Cryotherapy Good For? For those who love the gym, muscle stiffness is an all too familiar affliction that follows an intense workout. There are tons of ways to alleviate the pain without having to reach for that pill bottle. Cryotherapy or ice therapy is one example. Professional athletes like LeBron James and Steph Curry use ice therapy machines after rigorous training sessions. Much like cold packs, cryotherapy machines relieve pain, reduce swelling, and prevent further damage to the injured area. However, unlike cold packs, they also provide a more consistent and controlled temperature, conducive to a natural and pain-free recovery process. What Does Cryotherapy Do to Your Body? In cryotherapy, either your entire body or part of the body is exposed to cold temperatures for a short period of time to promote healing. This triggers a positive chain of events, starting with the reduction of your cells’ metabolic rate. When the local blood vessels start to constrict, it restricts blood flow to the injured area. It then alleviates pain, and reduces muscles spasms and swelling. Cold therapy is an age-old form of treatment used primarily for pain relief. But cryotherapy healing involving extremely cold or freezing temperatures is a relatively new trend. Research on cryotherapy is as new as the trend itself, and some of the potential benefits listed have yet to be proven. What Are the Advantages of Cryotherapy Machines? 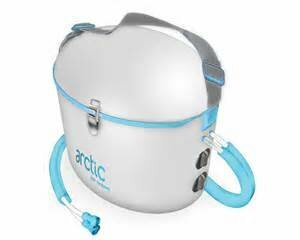 New ice therapy machines are designed to deliver extremely cold temperatures and active compression simultaneously. They utilize an ice reservoir and dual-chamber technology to regulate the flow of water and pump air through a wrap that covers the injured area. Listed below are the benefits of using ice therapy machines. Preliminary studies on cryogenic therapy suggest that it promotes faster healing of joint and muscle disorders. Almost any part of the body can be treated with it. You can use ice therapy machines on your calves, necks, and thighs. You can even use it to treat your entire body, like professional athletes. They do whole body cryotherapy to reduce pain and swelling caused by rigorous exercise and intense competitive play. 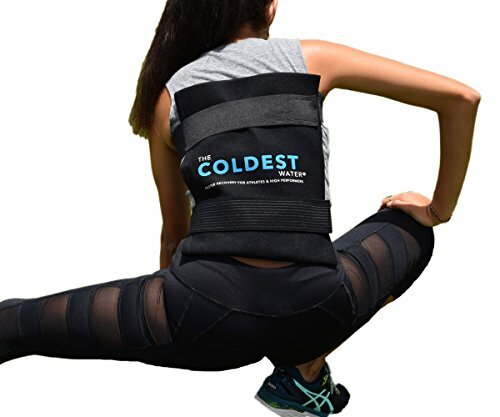 Cold packs are a form of cryotherapy. But compared to ice therapy machines, they have rather limited effects on the healing process. Ice therapy machines, on the other hand, can deliver much colder temperatures consistently, allowing the cold to move deeper into your body. In turn, your injuries can heal faster. Ice therapy machines ensure that the injured area gets consistent and controlled temperatures. As the cold sensations move deeper into your body, you can experience immediate pain relief. The top spot goes to Ossur’s Cold Rush. It comes with large shoulder pads designed to bring you optimum relief. The pads can be used in other parts of the body as well. All you have to do is wrap the pad around the injured area. 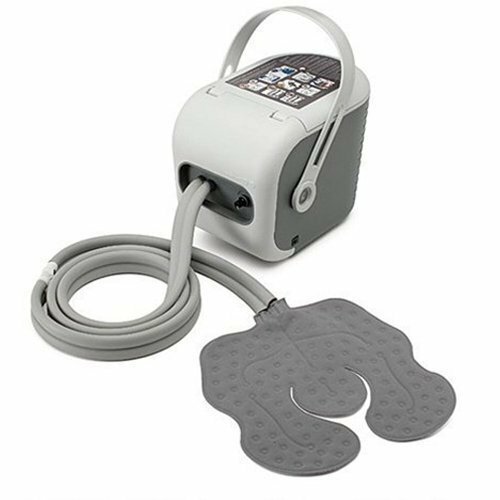 This ice therapy machine can be used to alleviate pain, improve joint function, and reduce swelling after surgeries. The Cold Rush is equipped with a motor that consistently pumps cold water into the pad so you can experience instant relief. It does so with very little noise. Best of all, the Cold Rush is lightweight. You can carry it wherever you need to, and it can operate for up to six hours. In second place is the Arctic Ice. It features a universal therapy pad that you can wrap around areas that are aching. It’s built with a 360-degree cooling feature, which transfers cold liquids around the region wrapped with the pad. 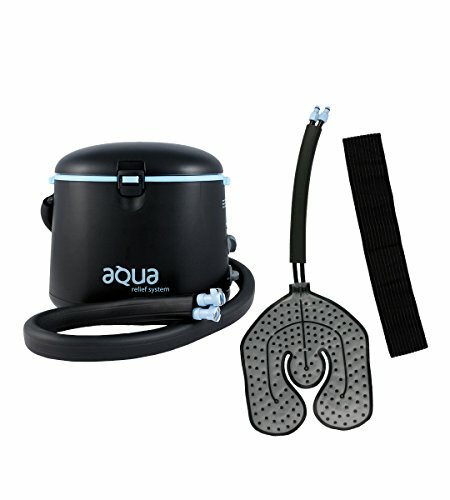 Its six-foot hose pumps cold water into the pad, ensuring you get immediate and constant relief. The unit makes an audible hum, but it’s not intrusive in indoor settings. Arctic Ice has a temperature controller, which lets you pick the intensity you want. This ice therapy machine can operate for up to eight hours using a single water fill. 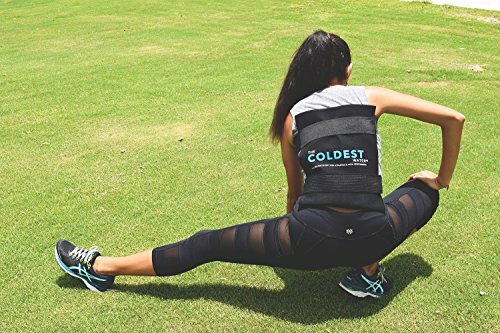 This unit comes with a universal wrap and Velcro straps, enabling you to use it on an injured area in your body, such as your hips, ankles, shoulders, legs, and wrists. The machine can pump both hot or cold water to help soothe your aching body. Since it provides added compression to affected areas, you can relieve pain for chronic conditions like arthritis and diabetic neuropathy. The Aqua Relief Systems has power and heater switches. You can control the timer between 15, 30, 45 minutes, and a continuous mode. You can also tweak the temperature dial to shift between the hot and cold therapy. Take note that this particular model automatically turns off after running for an entire hour. A cheaper cryotherapy wrap is the Coldest Ice Pack. It’s a large cold pack that’s designed to evenly distribute coldness to the injured area. It is reusable and durable than most cold packs. It’s great for ankle sprains, back pain, stomach aches, and stiff necks. It’s even designed to mold to the shape of your body for better recovery. Cold therapy is best used in the first 48 hours following the injury as it helps you deal with the pain and soreness. To use this ice pack, you must store it in the freezer for at least two hours. Next, you place it on the affected area for no longer than 20 minutes per application. Is Cryotherapy the Same as Taking an Ice Bath? Whole body cryotherapy is nothing like an ice bath. For starters, you won’t be submerged in ice cold water for 15 to 20 minutes. It only takes about three minutes. It’s not painful, and it’s certainly not uncomfortable. Best of all, you won’t have to worry about a staph infection and other hygienic issues. What Are the Most Common Uses for Cryotherapy? Cryotherapy has a wide range of applications. Aside from treating athletic injuries, it is used to treat patients with acute injuries and those recovering from surgery. Using ice therapy machines, you can treat almost any injured part of your body, including your knees, ankles, shoulders, and wrists. Is Cryotherapy Good for My Skin? Cryotherapy may be great for your skin. As shown in a study conducted in 2008, patients with atopic dermatitis who underwent whole-body cryotherapy saw significant improvements in terms of pruritus and sleep disturbances. Results continued to improve even after the sessions, which suggests that the ultimate effect of the cold therapy was not attained within that specific treatment period. Is Cryotherapy Good for Weight Loss? Stepping into cryogenic chambers won’t shed those unwanted pounds for you, but it could support your weight reduction endeavors. Some believe that a few minutes of cryotherapy each day boots your metabolism. However, there’s not enough evidence to support that claim. On the other hand, cold therapy does reduce your recovery time from intense exercise. That means you can get right back to your regular workout routines, and focus on achieving your weight loss goals. How Loud Is a Cryotherapy Machine? It depends on the machine. Most machines use a special pump that delivers cold therapy quietly. However, there are a few products that make a bit of noise when activated. Do I Need a Cryotherapy Chamber for Therapy? Not always. Apart from whole body cryotherapy, you can get targeted localized cryotherapy. You can purchase an ice therapy machine to treat workout-induced pain and swelling. Since they come with adjustable wraps, you may be able to treat injuries located on your knees, wrists, ankles, shoulders, and more. If you’re someone who constantly pushes the limits of your body, you need to take care of it more. Ice therapy machines are the best way you can do that today. They’re light, compact, and easy to operate. These machines let you recover from your injuries and improve your performance in no time.